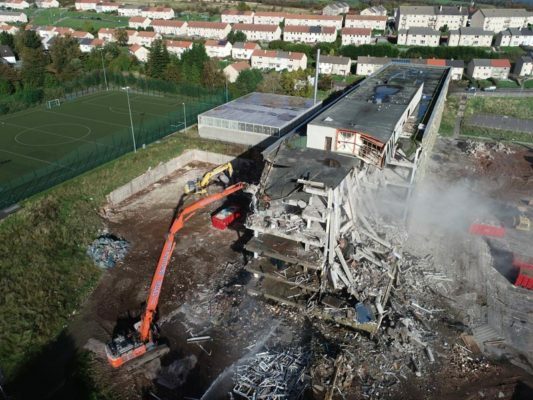 Central Demolition Limited were awarded the contract for the demolition of the Middlefield Campus at Forth Valley College’s Falkirk site. The old facilities are making way for a new state-of-the-art campus which will facilitate many new courses. 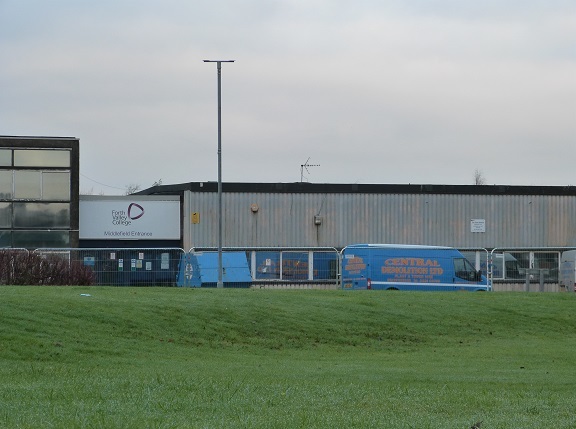 The Middlefield campus has a long history and was once home to a factory that was later converted into classrooms and workshops – which became part of what is now known as Forth Valley College – back in 1981. The structures being demolished were a mix of single and 2 storey steel/concrete structures, a steel framed workshop and outbuildings. Prior to the main demolition works, some pre-preparatory activity was required. The structures were soft stripped of all fixtures, fittings etc. 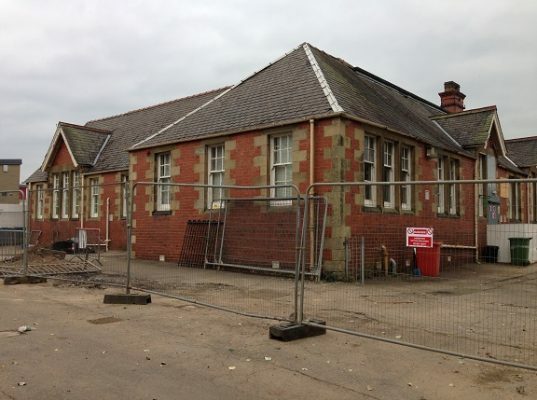 and one of our specialist teams carried out asbestos removal works. There was non-licensed asbestos removal required throughout, in addition to licensed asbestos removal works to remove all asbestos from plant rooms and heating installations. After the structures were confirmed as being safe for demolition, our machine moved in to demolish each of the structures. The site was only a 15 minute drive away from our recycling facility in Bonnybridge, so the demolition arisings were periodically sorted and transported off site for further processing and recycling. 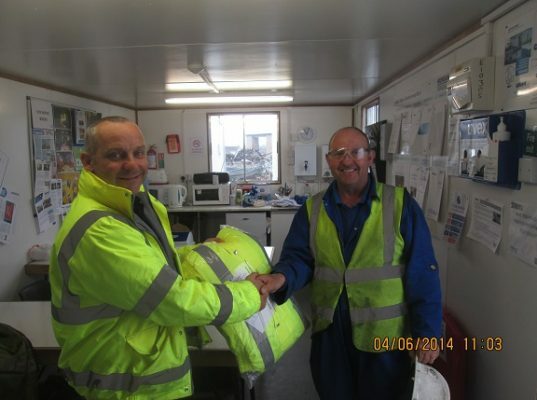 Our efforts led to a recycling rate of approximately 98% – a fantastic result. 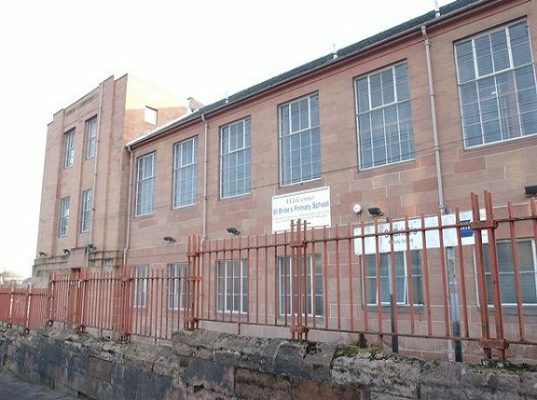 The site was quite literally electric, with a Scottish Power live substation located within the site boundary. The existence of this live substation created a major challenge throughout the duration of the project as there were 11 kVA live electrical cables feeding the substation. 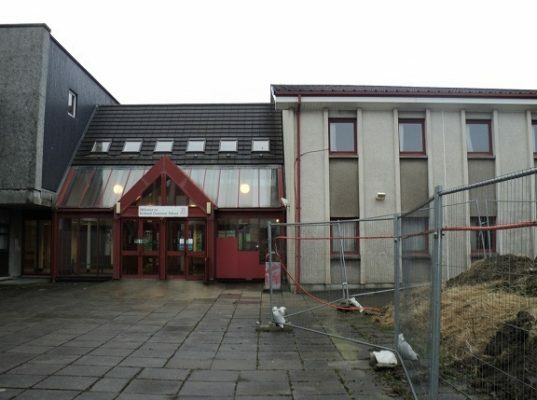 Our team were alerted to this fact throughout the project and a number of measures were put in place to ensure safe working, including the entrance being padlocked at all times, extensive toolbox talks, daily supervisor checks and the creation of an exclusion zone using physical barriers, as well as liaising with Scottish Power throughout. 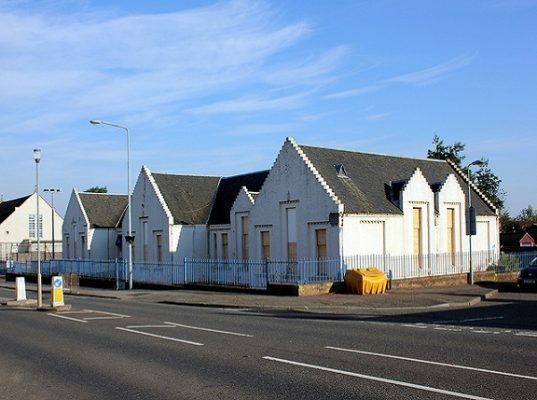 The position of the campus – along the busy Grangemouth Road – meant that our works gathered a lot of attention from the public. As always, our experienced team took the attention in their stride and worked safely, on time and within budget.